Oh girl, I love me some Boho and you are one incredible BOHO BABE!!!! I love this, especially how you out a drapey wrap top underneath and swooning over that bag!! Go have a marvelous Monday sweetheart!! I love that kimono!! What a fun piece. You have the best kimono collection! Love these retro vibes on you! I love absolutely everything about this outfit! Especially those sunnies–I have been wanting a big round pair like those forever! SO fab! Love this boho look. Loving the boho look. Definitely something I could try. I love the boho/hippie vibe. 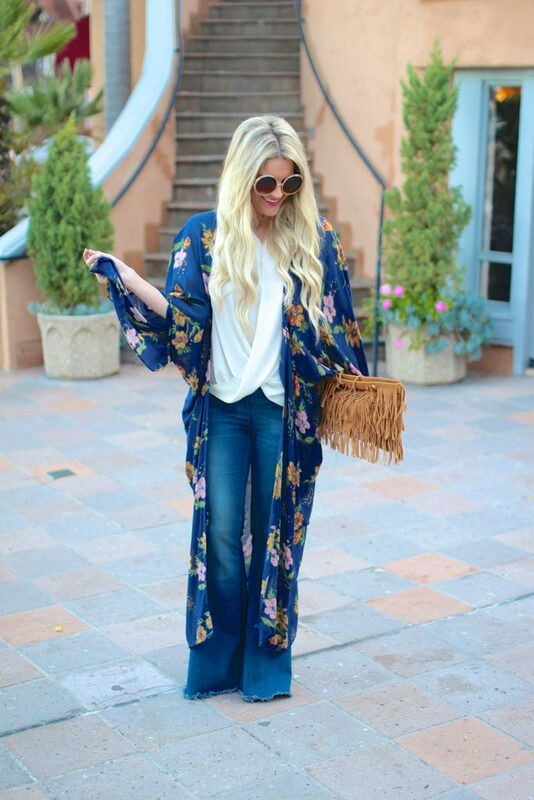 This kimono is gorgeous, and perfect for any spring fesival! loving how you layered! super cute! Those jeans! I mean they are fabulous and I love the longer kimono with them! Nobody does boho like you, babe! I am so ready to break out my springtime boho pieces! Loving your boho vibes babe! You rock that 70’s vibe like no one else. 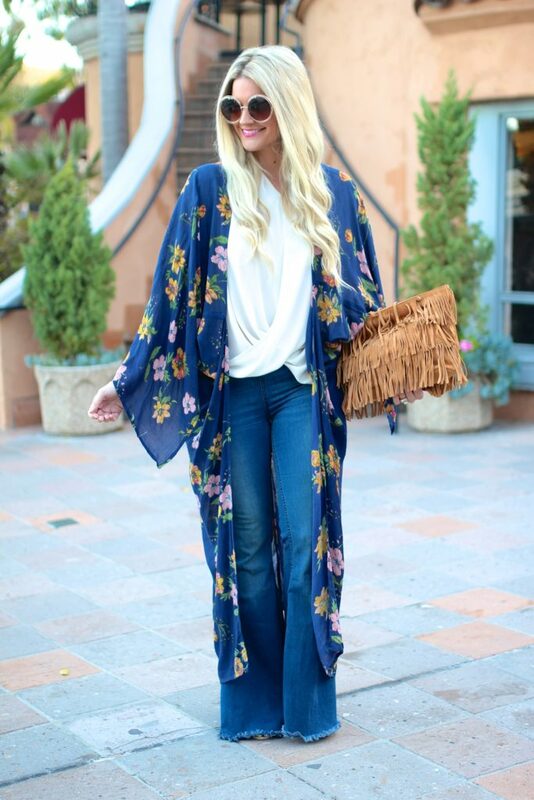 That floral kimono is so pretty and looks fabulous paired with your denim! Have a great week! I absolutely love your outfit! 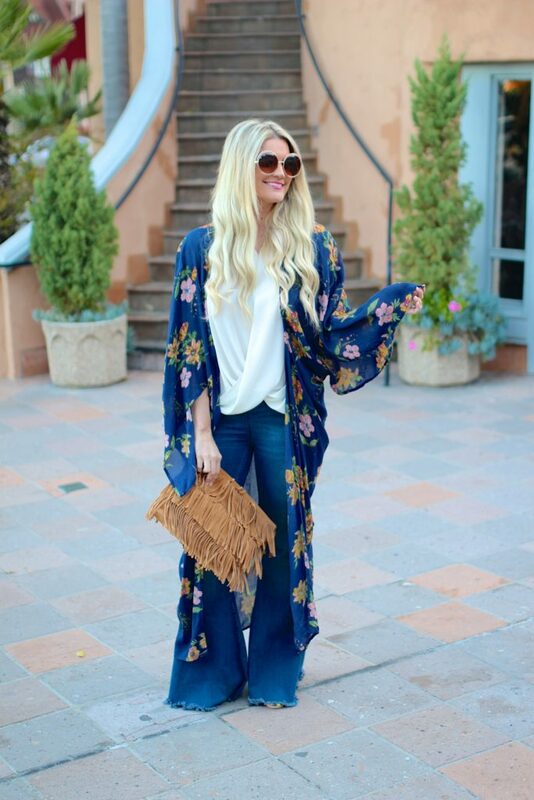 The kimono is perfect and the flare jeans…love!! This is my first visit to your blog and I’ll definitely be back! This kimono looks so good on you. You’re lighting up the environment with your smiling face. me too & it’s boho season for sure!! You are a boho babe! 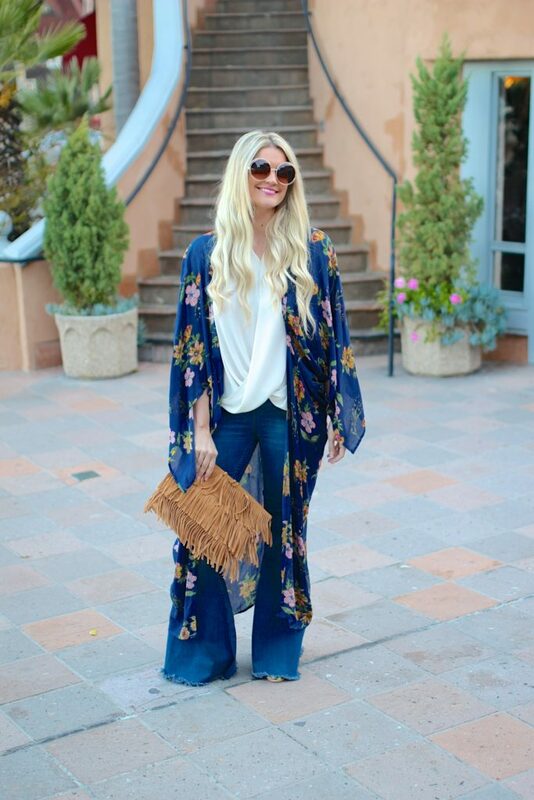 Your kimono is beautiful and I love your flares! You are looking so pretty . I really liked your outfit . The blue flares looking so gorgeous on you . I have a pair of flares that I have not *yet* worn! Note to get them out–you look fabulous.